Your pets staycation while you're on vacation! Playtime Pet Sitting has been in business since 1997 and is owned and operated by Tracey Mitchell. We are dedicated to the happiness and well being of your pets. Our service allows you and your pet to be satisfied while you’re away. Our clients range from those with long hours wanting to give their pet a potty break and playtime to those traveling who don’t want to board their precious pets. We are licensed, bonded, and reliable. We are a professional pet sitting service – this is not a hobby business. We don’t bring boyfriends, children or other pets. Our time at your home is spent with your pets. Your furry friends miss you when you’re gone but the safety and comfort of their own surroundings and our TLC make for a much better experience. We start with a free initial consultation in your home to meet you and your pets. We take detailed notes on your pet(s) and their needs and likes. This includes knowing where their favorite treat is located to their favorite toy. 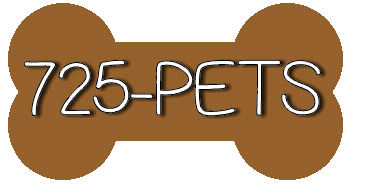 We will fill out a service agreement form and get you and your furry friends on our schedule. We leave a note after each visit so you know we were there and how the visit went. Bubba has not used his potty pad once since you started coming to walk him. Thank you – thought we would never break him of that habit! First thing we did when we got home was read all your notes. Thanks for taking such good care of our kids. I loved getting your notes and knowing my water cat CeCe got her daily drink out of the bathroom sink faucet. Thanks for taking such good care of her. Rascal is a handful. Glad you got him his exercise otherwise he destroys the house when I work a double shift. I will never board Katie again! Came home to a happy and healthy dog. And she is not mad that we were gone. We love the notes and seeing Maggie on your Facebook page. I grew up here in the Roanoke Valley and obtained my associates degree at Virginia Western. From there I began a career with Verizon. After 11+ years I decided I did not want to climb telephone poles any longer. I wanted to do something I was passionate about. 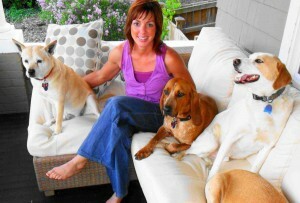 I needed to look no further than my 4 dogs to know I’m passionate about pets! About that time an opportunity arose to purchase Playtime Pet Sitting. That was 3 years ago and I could not be happier with my choice. I look forward to meeting you and your furry friends.